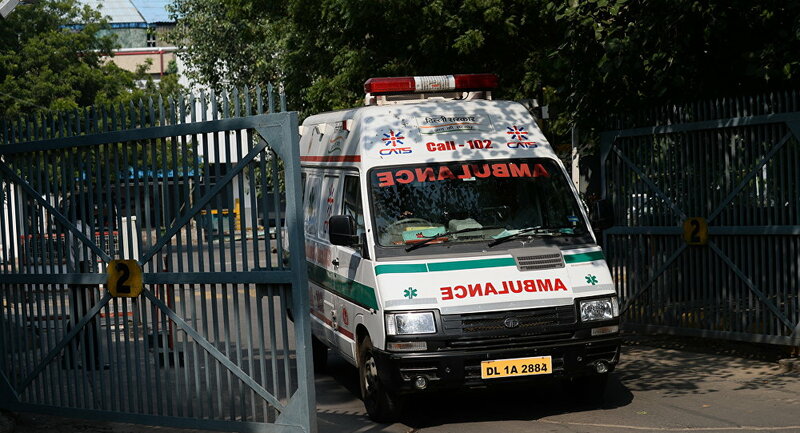 The explosion rocked the facility, located in the Indian capital’s Moti Nagar industrial area, at 08:48 p.m. local time (03:18 GMT) on Thursday, the Times of India news outlet reported, citing Atul Garg, the chief fire officer of the Delhi Fire Service. Eleven water tenders had been reportedly dispatched to the site of the incident. — ANI (@ANI) 3 января 2019 г. The rescue squads have pulled 15 people from the rubble, while seven or eight people are still feared to be trapped under the rubble. The victims of the blast had been taken to a local hospital. — NBT Dilli (@NBTDilli) 3 января 2019 г. According to the outlet, citing the results of a preliminary probe, the explosion had been caused by gas compressor malfunctioning and resulted in fire spreading across the facility. The blaze led to the partial collapse of the building blocking the exit route for the workers who were inside at the time of the incident.